I’ve been contemplating on doing something productive (other than catching my TV series’). I was watching TV the other day when a cooking show came on. They made “No-bake Chocolate and Peanut Butter Oatmeal Cookies”. I remembered that me and my sister used to bake cookies too (and muffins, cupcakes, brownies and cakes). I decided to start baking again, BUT I remembered I can’t. I needed to be able to walk around the kitchen AND handle a lot of utensils. It wouldn’t be a problem if I could do everything sitting down. So I decided to start with “No-Bake” cookies. I’ve already found a recipe for No-Bake Chocolate Oatmeal Cookies, the problem is, I forgot to list down the ingredients that I needed. They’d already gone to Shopwise over the weekend and I’d have to wait until the next weekend. 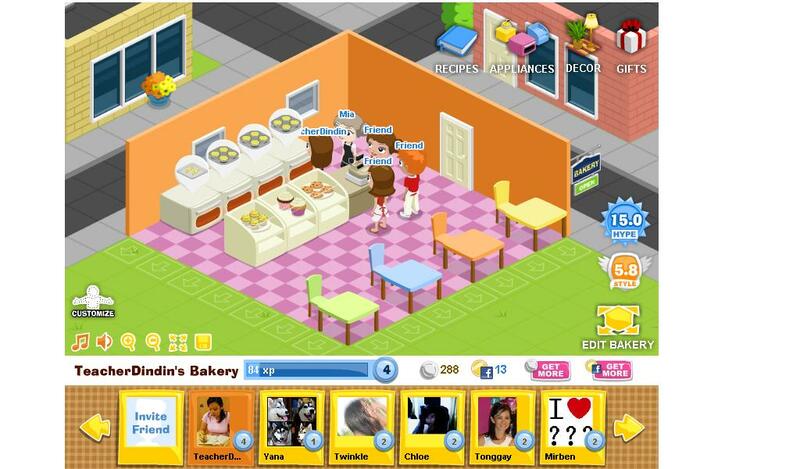 Then I found this game on Facebook, Baking Life. I get to “run” my own bakery/cafe. 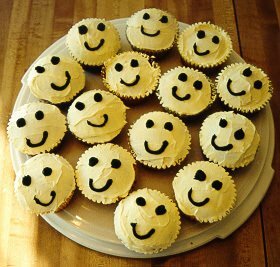 With a few clicks, I can make cupcakes, cookies, pies, cakes and many more. Plus, I even get to “sell” them. I can even make a personalized cupcake. I get to choose the lining, the cake, the frosting and toppings. Then I get to share them with a friend. Just like what I’ve always wanted to do. I’m not really an expert at baking, but my family enjoys the stuff I make (or at least I THINK they do). It’s probably not that good enough to sell, though I know its okay enough to give out to friends. Maybe someday, I can further develop my baking skills and open a small “cafe”. For now, I’ll build up my “dream cafe” in Baking Life. Now, I have to get back before my cupcakes burn.